Charles Helm has been a family physician in Tumbler Ridge since 1992. He immigrated to Canada from South Africa in 1986. He is the author of nine books, on the Tumbler Ridge area and is history and dinosaurs, and on the history of the northern Rockies. He has been an explorer in the Wolverine Nordic and Mountain Society since 1993, designing, building and maintaining hiking trails. He was a founder of the Tumbler Ridge Museum Foundation in 2002 and developed its non-palaeontological exhibits. 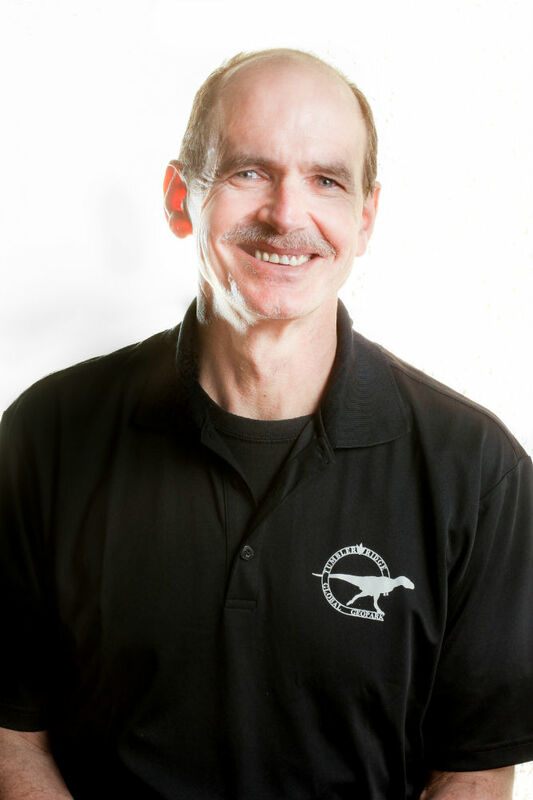 His palaeontological interests, expressed through the Peace Region Palaeontology Research Centre, have included numerous fossil discoveries, and authorship of publications in scientific journals on ichnology and geomythology. He was instrumental in the proposal that led to the creation of the Tumbler Ridge UNESCO Global Geopark in 2014, and was its first President. He is the co-founder of the Emperor’s Challenge Mountain Run and has served on the event’s organizing committee since its inception in 1999. He and his wife Linda live in Tumbler Ridge and have two children, Daniel and Carina.